﻿ Books in the PassionProfit™ series and other brands by Walt F.J. Goodridge. Information, inspiration and ideas to help you make money doing what you love! Let me help you live and tell YOUR story! Hi! My name is Walt F.J. Goodridge, former frustrated employee, now "nomadpreneur" author of Turn Your Passion Into Profit as well as Yesterday's You, Fit to Breed and the Loving True™ series of books. My personal life mission statement is: " I share what I know so that others may grow!" I help people break free from limiting belief systems in order to discover, develop and profit from their passions, transform themselves physically, and master their relationships so they can live true to themselves and experience a life of freedom, function, fitness and fun! I believe that's what life is all about: the FREEDOM to live life on your terms, fulfulling your FUNCTION (purpose), maintaining physical FITNESS to live free of illness, and having a whole lot of FUN doing it! It's all part of a philosophy I call "the Integrated Life." 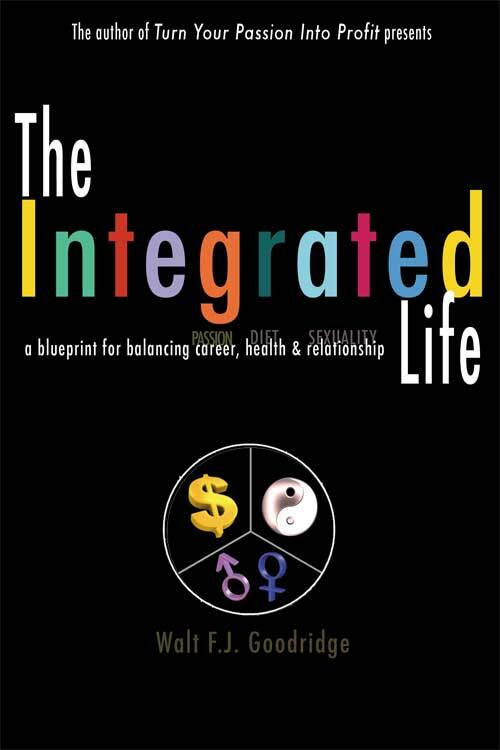 Are you living the Integrated Life? "In the pursuit of economic survival, bodily sustenance and social acceptance, people often (1) disregard their passion in order to focus on a practical career, (2) allow their diet and food choices to undermine their health, and (3) deny their sexual and gender wiring in order to conform to societal concepts of relationship. Therein lies the majority of unhappiness in our modern life. People are not effectively integrating passion, diet and gender wiring into their careers, health and relationships in order to live The Integrated Life." Each unique series of products below offers information, inspiration and ideas--books, products, websites, communities, online tests and weekly newsletters--to accomplish that mission! Look for this symbol and click to download a FREE preview of each product. "As it suggests, a nomadpreneur is an individual whose income strategy allows him or her the freedom to travel while generating income--regardless of where he or she happens to be physically located. A nomadpreneur makes money and maintains mobility" --Walt Goodridge, the original Nomadpreneur! In search of a better belief system. Want more of the Life Rhymes™ series? "Perfect health, long life and eternal youth are not the random genetic blessings of a chaotic or capricious universe, but natural birthrights that can be accessed through the mindful acceptance of simple truths, activated by the committed practice of proven activities, and sustained by advancement along a single known path. This is that path." --Walt Goodridge, the ageless adept! Download a convenient PDF of this site featuring all my brands plus soon-to-be-released products not listed here! Actually, these aren’t all, but merely a few of the websites I operate.